A local, professional ironing business, here to help you. Our motto is “here to help you”. 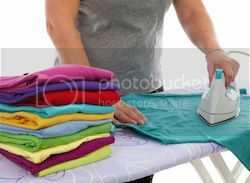 We make it as simple as possible for you to get all your ironing needs catered for by offering you free pickup & delivery, as well as an efficient and reliable service. We also currently offer a 48 hr turnaround service for those moments when you need an article of clothing back as soon as possible. It’s brings us an incredible amount of joy knowing that by offering these services we are able to help our customers with busy schedules and time poor lives the opportunity to spend more time doing things that they love when they get home.